**For Editors: Winter driving B-Roll footage is available for download at https://vimeo.com/146443166. 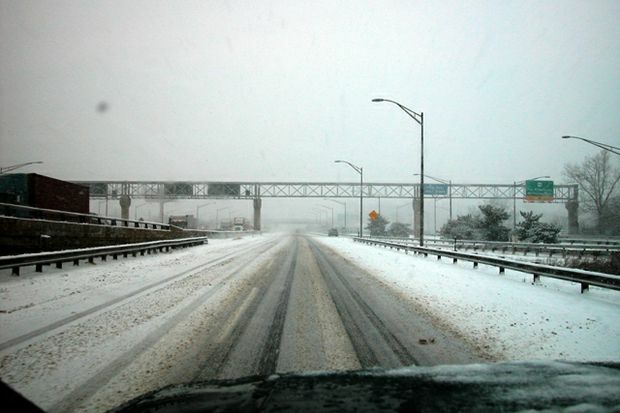 Winter can put a damper on driving conditions, especially when snow and ice are involved. Hazardous storms and inclement weather are a factor in more than half a million crashes and more than 2,000 road deaths every winter, according to research from the AAA Foundation for Traffic Safety. AAA urges drivers to slow down, be cautious and prepare their vehicles for the cold days ahead. Vehicles are more likely to break down if proper maintenance has not been performed. This winter, AAA East Central expects to rescue tens of thousands of drivers, with the majority facing battery, lock and tire-related issues. A seasonal checkup could help minimize breakdowns. Wash and wax your vehicle. To help prevent rust damage, which costs drivers approximately $3 billion every year, thoroughly wash and clean your vehicle prior to the start of winter and apply a coat of wax to protect the finish. During the winter, frequently wash your vehicle (including the undercarriage) to loosen, dissolve and neutralize road salts. Always use a high-quality car wash solution, not a household dish detergent that will strip the wax from your vehicle. Have your battery tested. A AAA survey found that two-thirds of American drivers have never proactively had their car battery tested. If a battery is more than three years old have it checked by a professional to ensure it is strong enough to endure cold weather. AAA’s Mobile Battery Service offers free battery testing for AAA members.